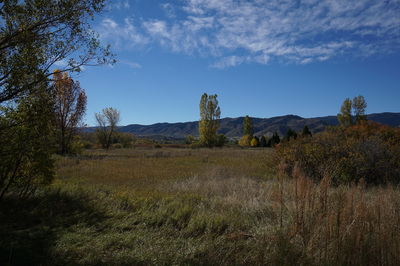 Directions: From Denver take either I-70, I-25, or Santa Fe Blvd (85) to C-470 and exit on Wadsworth Blvd heading south. Proceed south on Wadsworth passing the various entrances to Chatfield State Park on the left. Just before the entrance to the Lockheed Martin facility, turn left and then a quick left into the Audubon Discover Center Parking Lot. 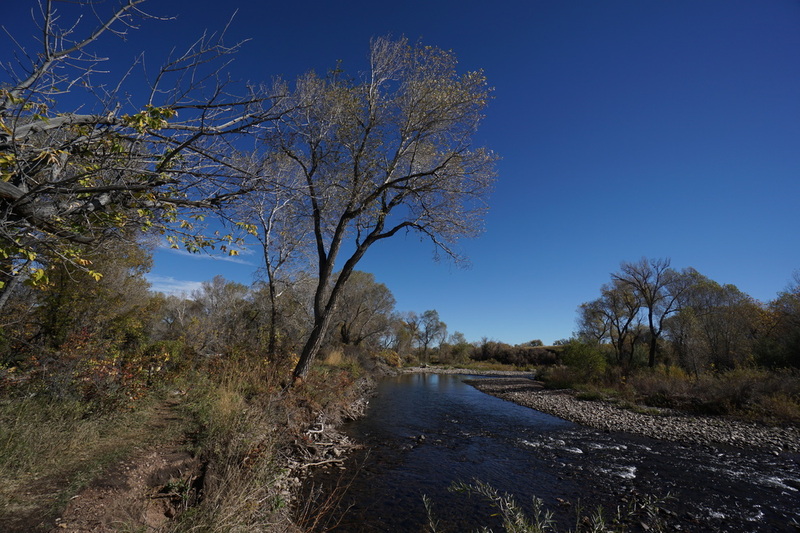 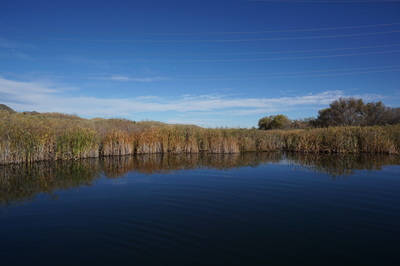 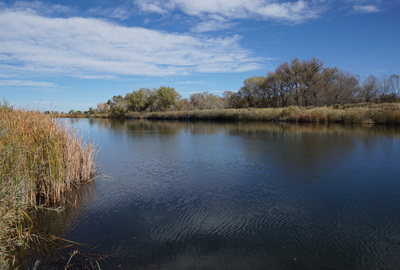 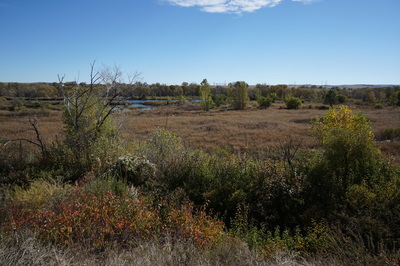 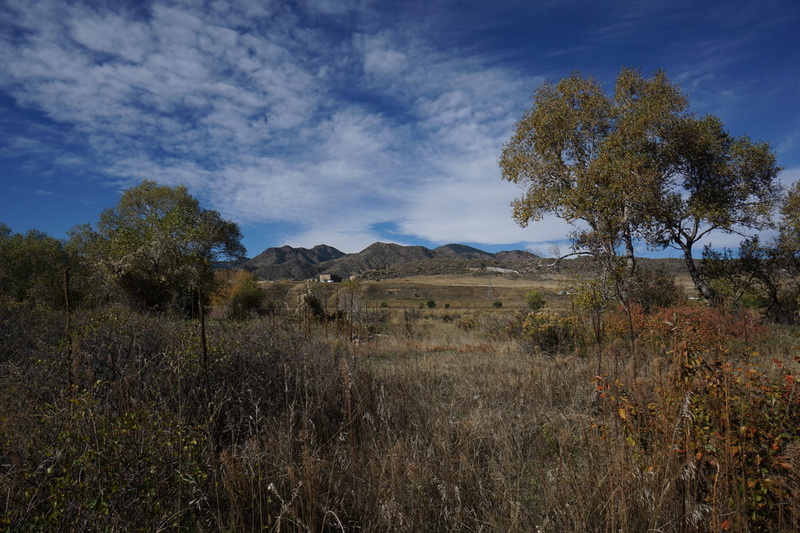 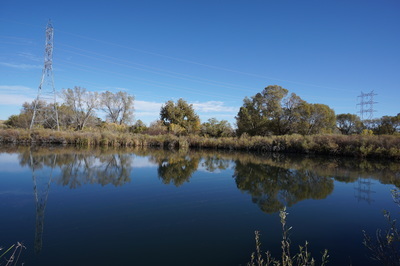 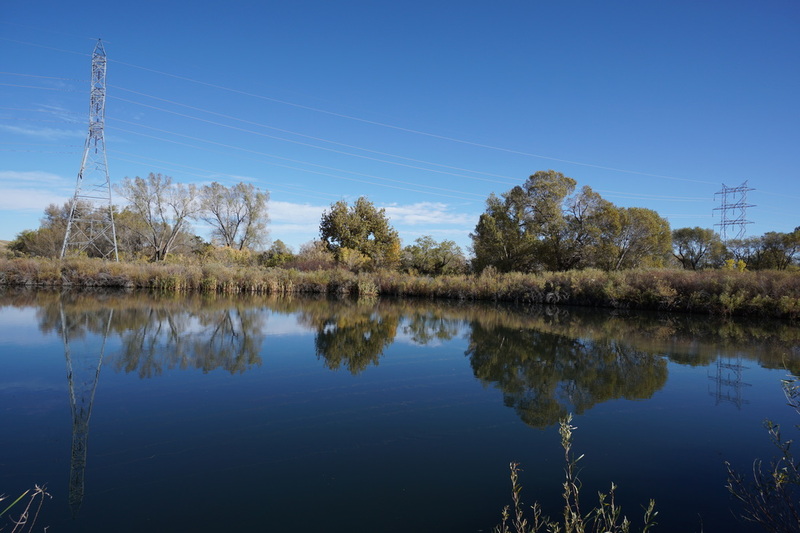 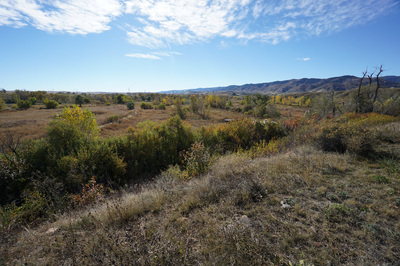 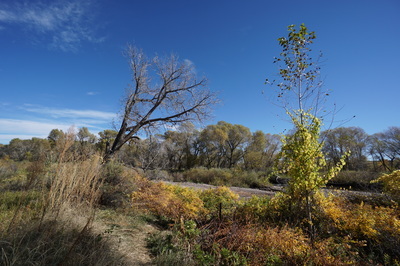 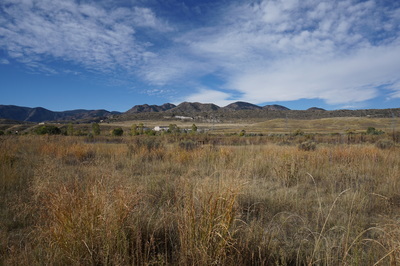 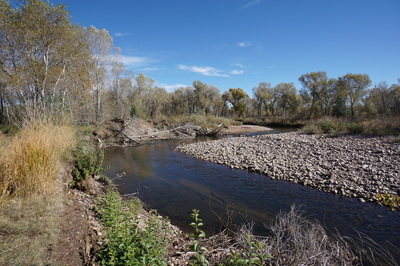 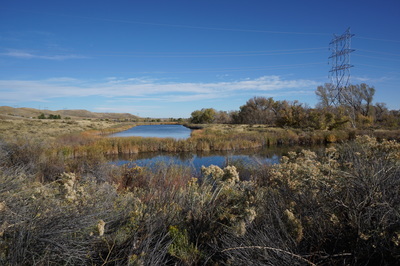 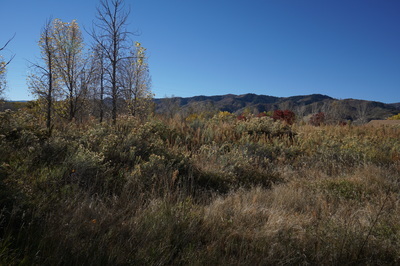 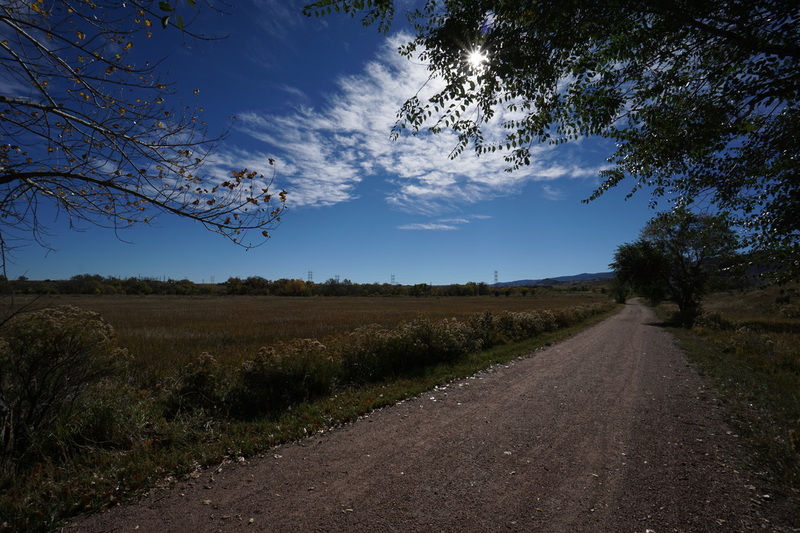 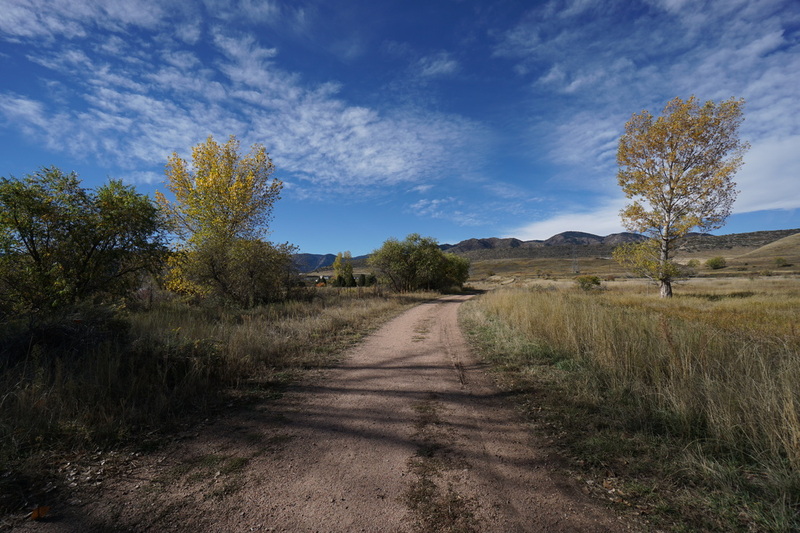 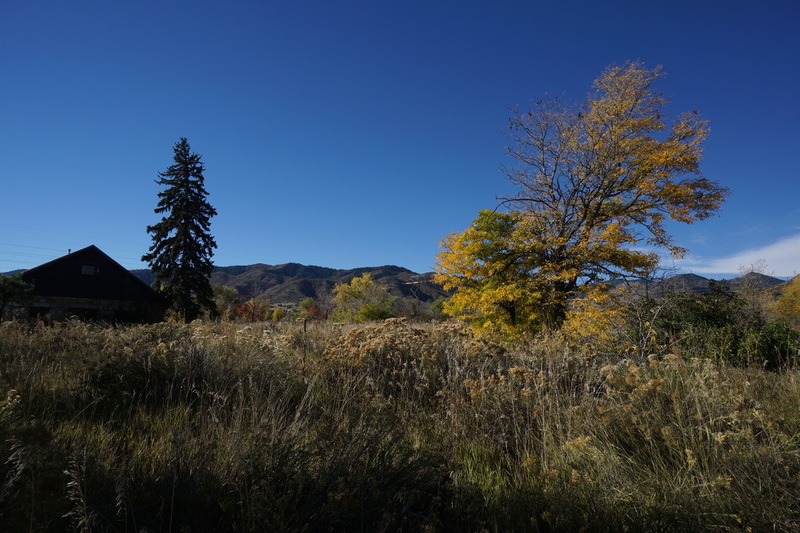 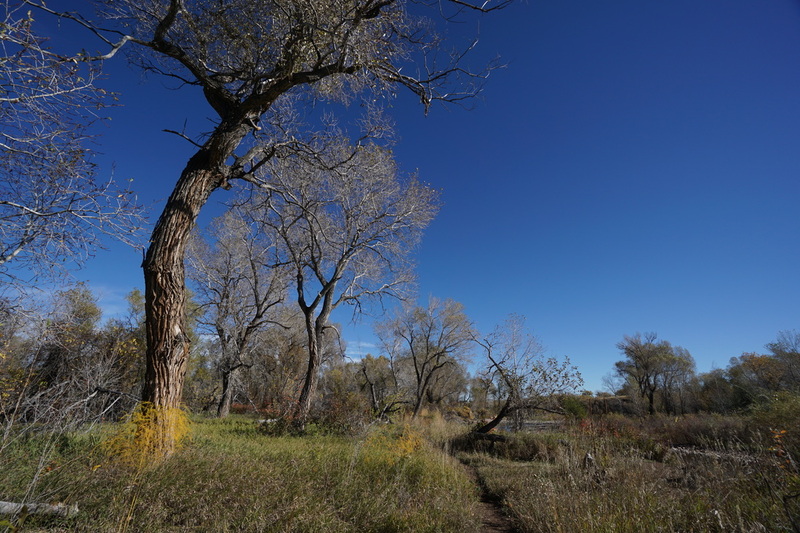 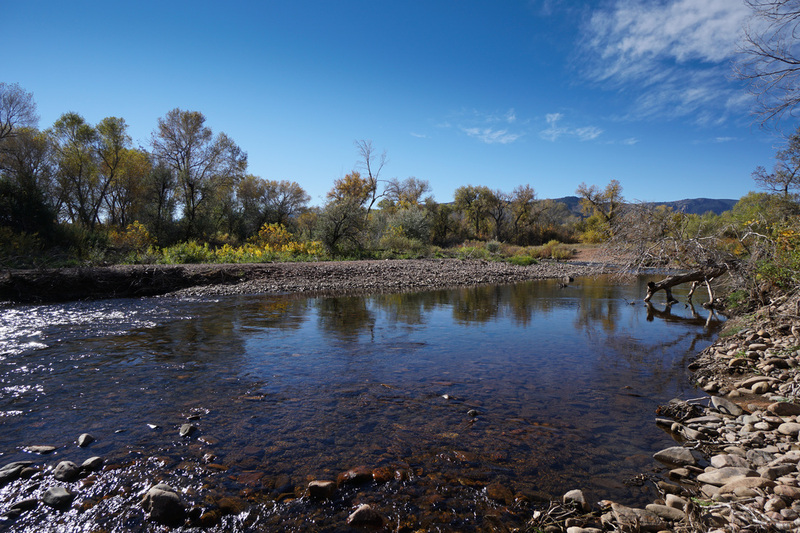 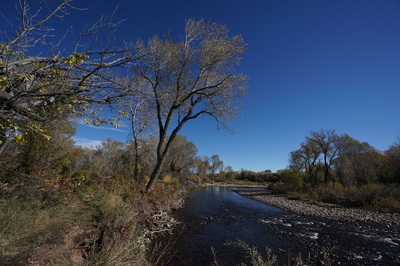 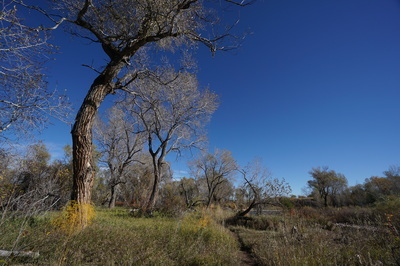 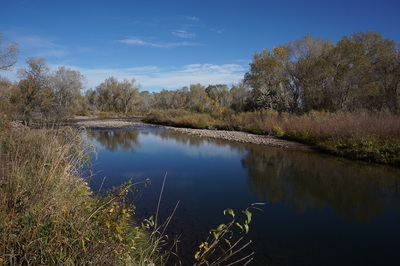 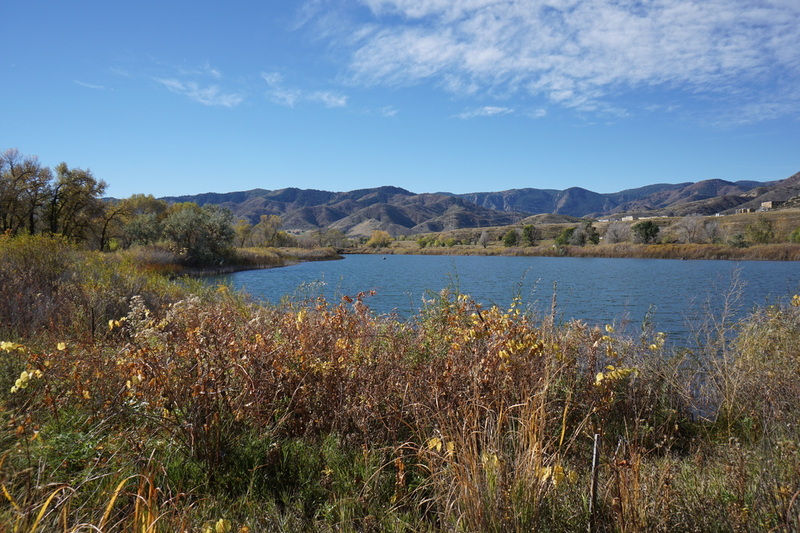 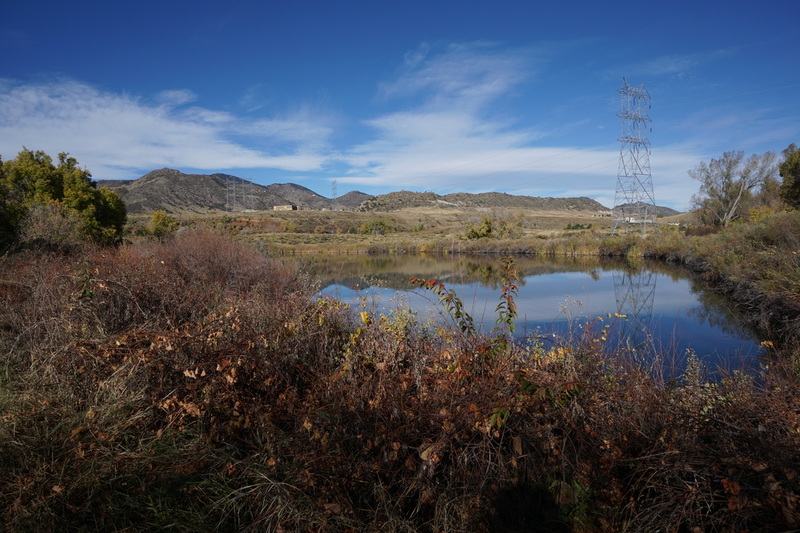 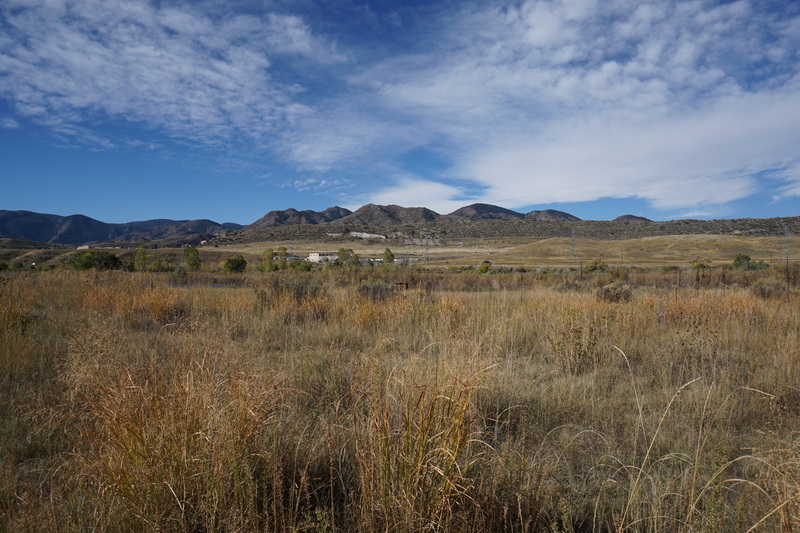 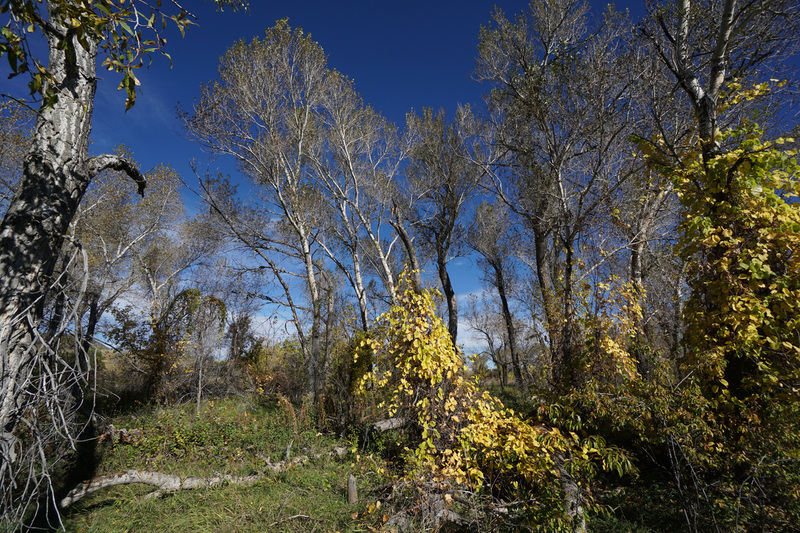 Chatfield State Park's southern portion is much quieter than the dam and reservoir area, the trails explore various ponds, cottonwood forest, and the South Platte River. 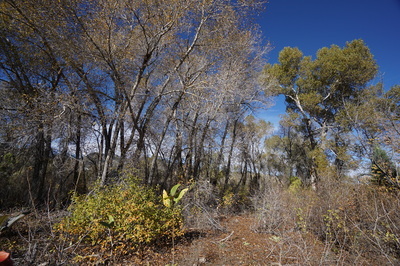 While trail signs are virtually non-existent, there are many options for hiking loops ranging from .5 miles to 6 miles. 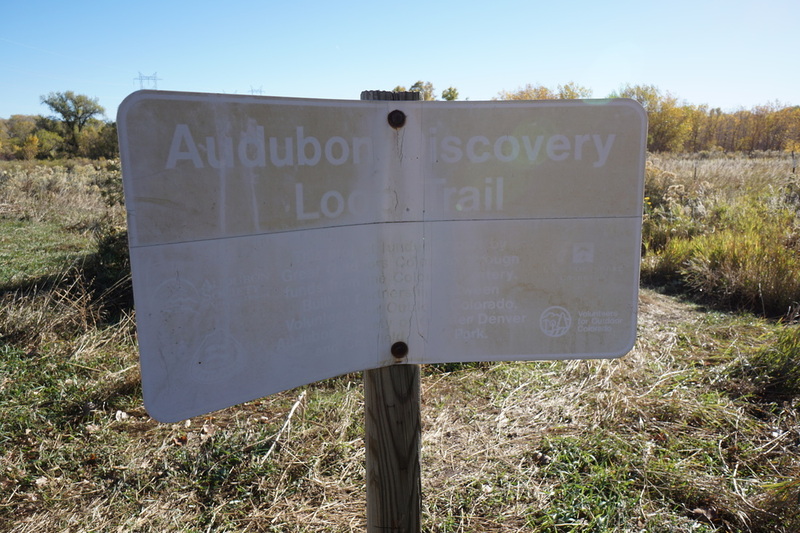 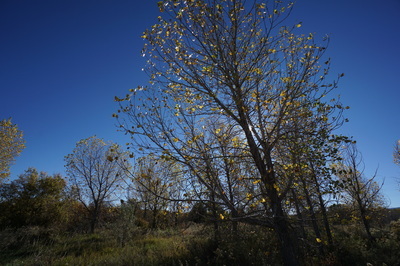 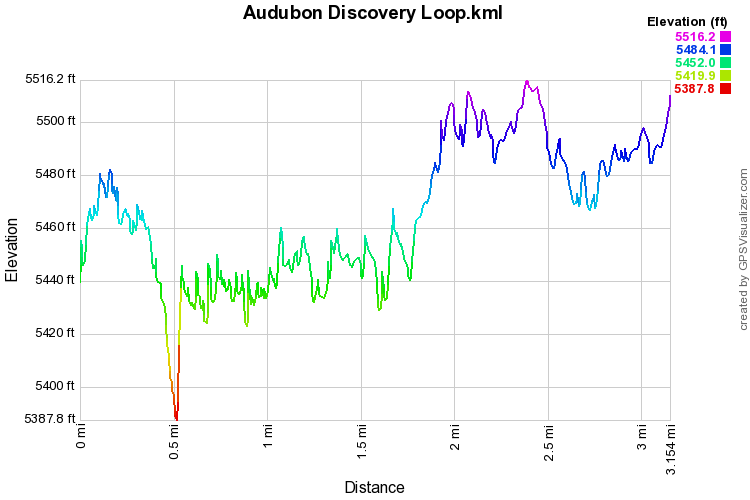 The Audubon Discovery Loop provides a pleasant 3 mile loop through the heart of the park's nature preserve. 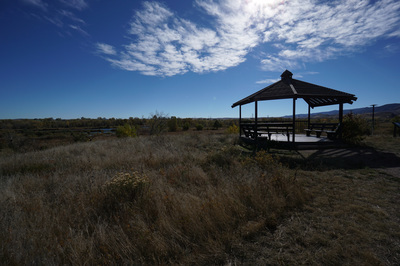 From the Audubon Discover Center, start off by following the Audubon Nature Trail north through the outdoor amphitheater to the restrooms. 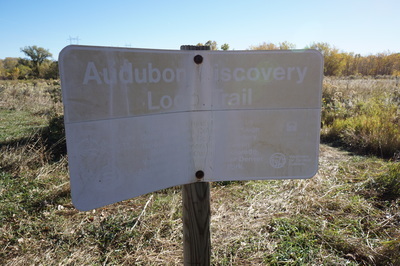 Turn right here towards the first pond and you'll soon see a sun-faded sign for the Audubon Discovery Loop. 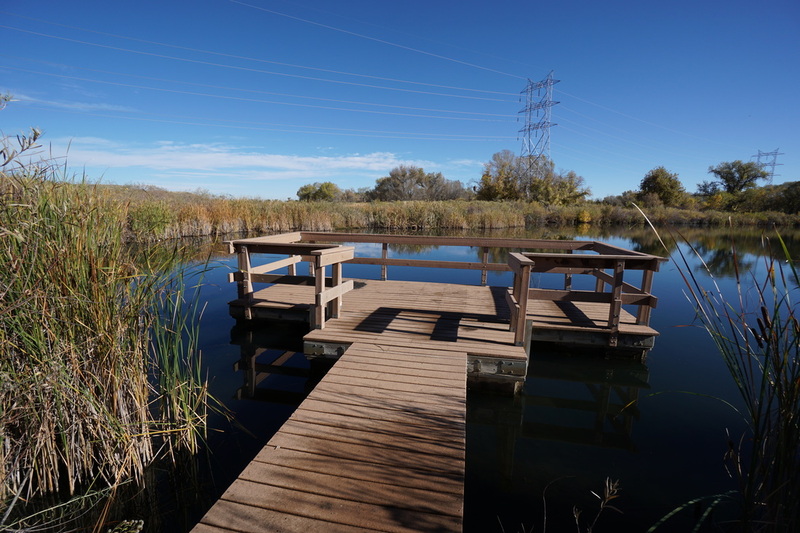 Head down to the pond to check out the floating wildlife viewing dock. Follow the south shore of the pond to the west, passing by the first turnoff. 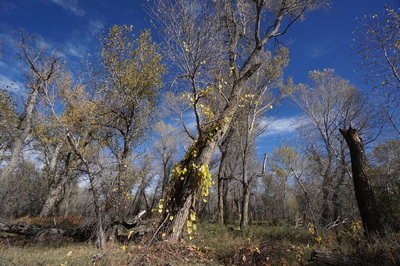 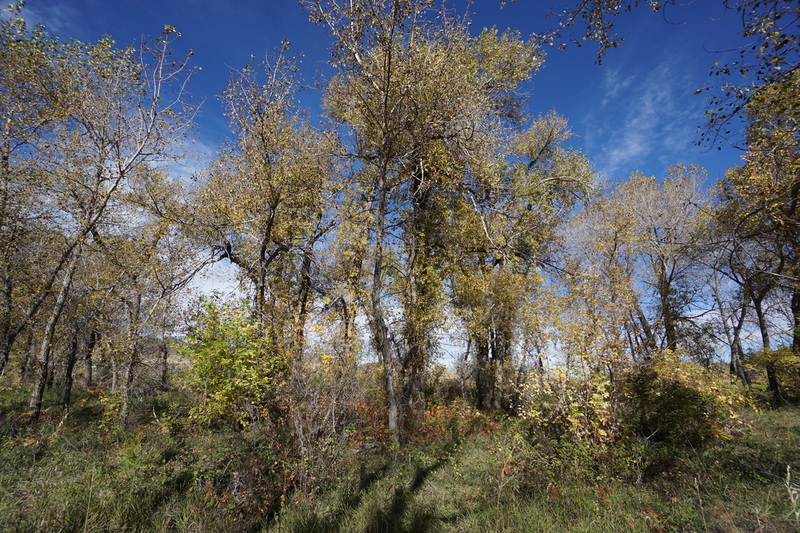 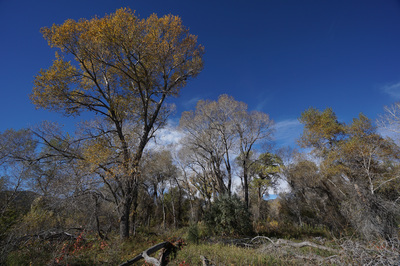 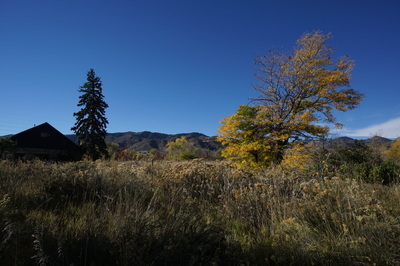 Continue west into the Cottonwood forest and make a left at the trail junction. At this point you will be following the South Platte River as it heads towards Chatfield Reservoir. 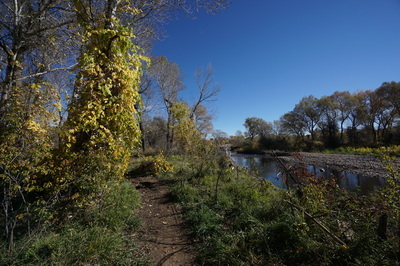 Continue following the river north and stay straight at the 4 way intersection. 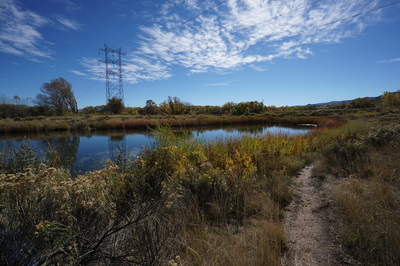 Turning left here will bring you back the ponds for a shorter hike. 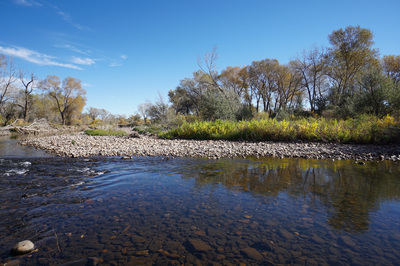 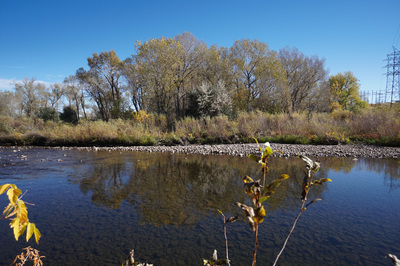 If you continue following the river, you'll be rewarded with wonderful riparian habitat and cottonwood forest, amazing in the fall. As you follow the river you'll eventually encounter a trail junction with the wider multiple use trail. 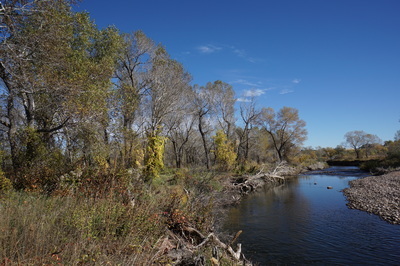 Continue north to skirt the eastern shore of the long pond and rejoin the Platte. 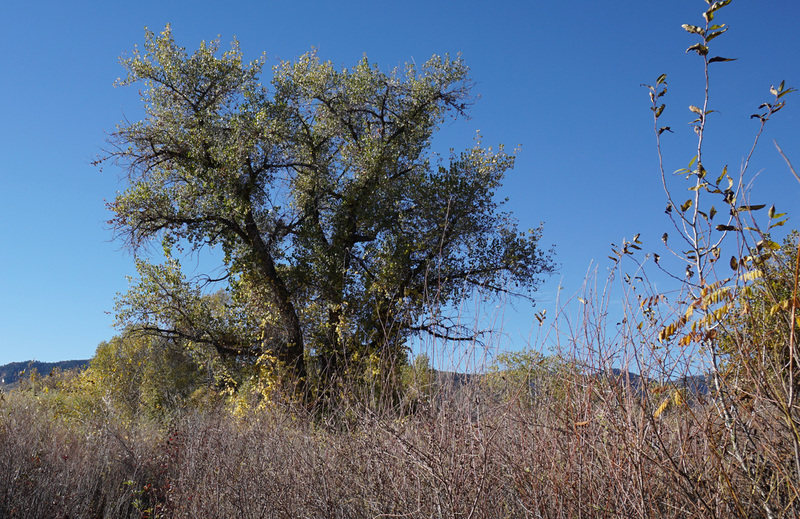 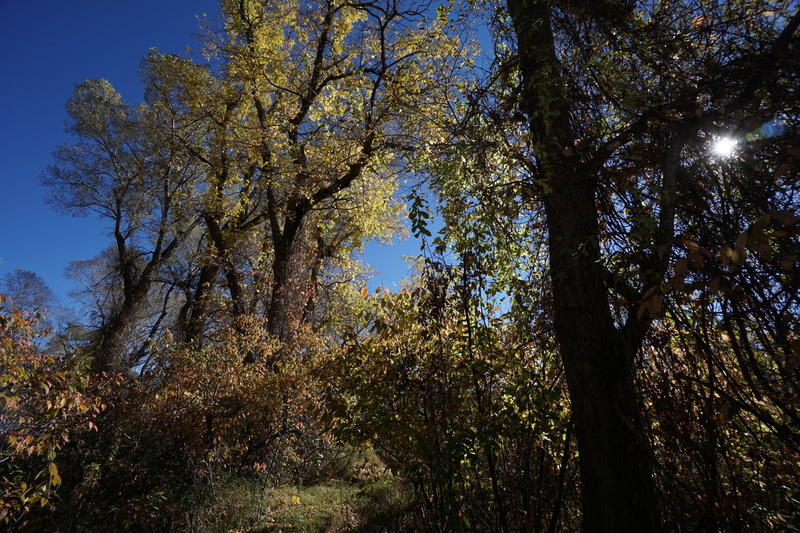 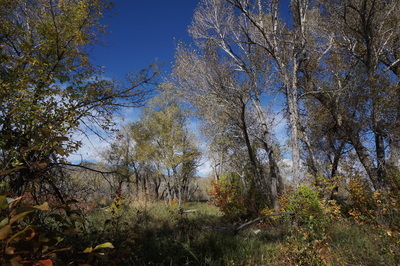 Follow another single track through Cottonwoods until you reach another four way intersection. Turn left here out into the open plains, joining with the wide equestrian trail. 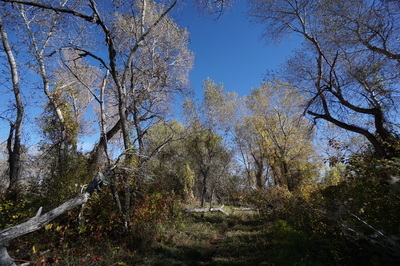 After a few minutes of hiking, a single track trail will branch off to the south. Follow this trail over rolling terrain with great views to the east of the ponds and Cottonwood Forest. This trail will lead you to the Gazebo with interpretive signs and terrific views. 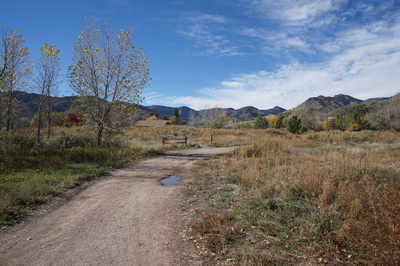 Continuing, you'll rejoin the equestrian trail heading directly back to the parking lot. 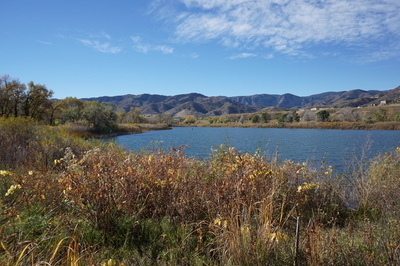 If you want to add a few more minutes to the hike, turn left at the trail junction and head east back towards the ponds. Look for the faint, slightly overgrown, single track heading south and turn right. 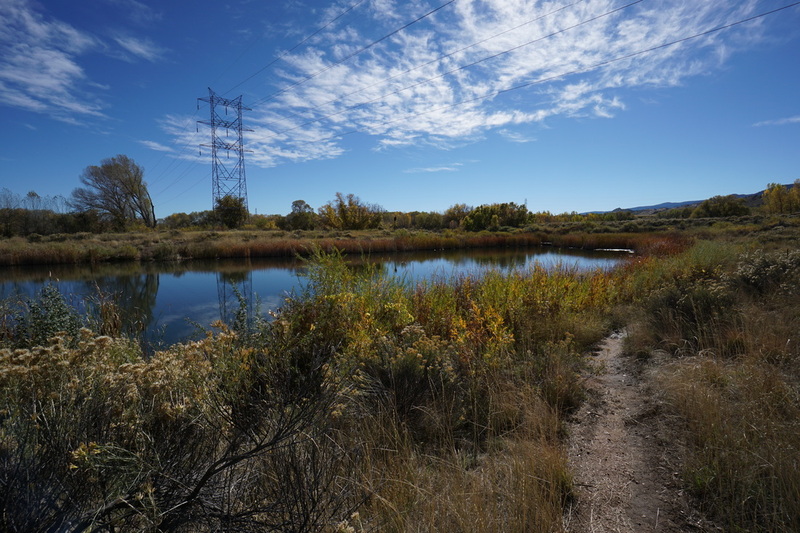 You will now be skirting the western shore of the first pond you visited. Pass by the floating dock and retrace your steps on the Audubon Nature Trail back to the parking lot.